Many people believe that owning an investment property in Adelaide will cost them thousands of dollars upfront, and hundreds of dollars per week. But at TIPS we know that just isn’t the case. 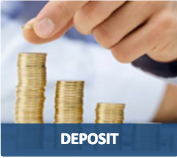 Many of our clients have been astounded to find out that they could buy an investment property with no deposit at all through accessing the equity in their existing home for use as the deposit, and for as little as $19 per week contributions. 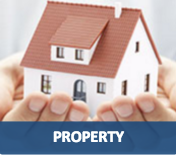 At TIPS, we specialise in educating everyday people in the process of purchasing an investment property in Adelaide. Only once clients understand the process, will we suggest a property to consider for purchase. It is our policy to avoid offering properties to you, until we have assessed your situation, considered options and we will never push property purchasing upon you. You are invited and encouraged to talk to any relevant parties to discuss your situation before you proceed with your investment. This could include professionals such as your accountant, financial planner, home loan lender and even friends and family. Once you are really comfortable with the thought of looking further into buying an investment property, we will then show you a selection of house and land packages to be built from a broad range of some of Adelaide’s best builders. ALL properties we offer are within 40 kilometres of the Adelaide CBD and we will never offer you a property in a location that you cannot check out for yourself. Unlike many other companies, we only work one on one with our clients and don’t hold large seminars where they treat all clients as being essentially the same situation. Many people fail in property investment because they rush in or get poor or inadequate advice. Others may never get started, thinking it’s just all too hard. At TIPS we will help you every step of the way to ensure that we minimize the stress and maximize your potential return. Through investing in Adelaide properties, you are able to make decisions on how you decide to run and manage your property, as well as take advantage of Adelaide’s stable property market. Now here’s some great news, choose a house and land package from one of our associated builders and our sales service to you will be absolutely and unconditionally FREE. That’s right, not one cent. 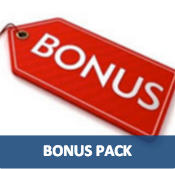 In fact in most cases we will even reward you with contributions towards services with our investor bonus packs. If you’re like many others, you may think it’s too expensive, too complicated or it would take too much time to invest in property. At TIPS we have low-cost investment opportunities, which allow you to invest in property for as little as $19 per week! This is an absolutely achievable goal for the majority of people who already own their own home or have saved a deposit, yet so many people have been led to believe it’s just not that easy. At Total Investment Property Solutions (TIPS), our specialty is helping everyday people, just like you, to purchase your first, second, third investment property and so on. We can show you exactly how you can invest in property starting from around $19 per week, helping you secure your financial future. How can you possibly get me into an Investment property so cheap! Have you ever wondered how people just like you are able to invest in property? Do you ever worry you won’t have enough financial security in your later years? 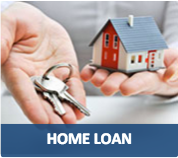 Firstly there is the lender who will loan you the money to purchase the property and they can lend this money as interest only. By paying interest only, this will reduce the monthly repayments compared to a traditional mortgage. With a traditional mortgage you would generally always select a principle and interest loan because your main goal is to pay off your home. For an investment property, it’s more about the increase in value over the years not the act of paying the property off. In South Australia over the past 80 years, we have seen an increase on average of 8% per annum. This means that the average property in Adelaide will double in price every 9 years! For example, if you bought a $300,000 house today, chances are that property would be worth around $600,000 in 9 years time. Just think back to when you bought the home you currently live in and do a quick calculation to see how your property has performed. Chances are you’ll find it normally works out pretty close to my example every time. In the case of an investment property you’ll be surprised how much the taxman will be prepared to help you fund your property. If you are at the higher end of the income scale the taxman can be very generous indeed, however average income earners still gain great benefits. Buying a new property has greater tax benefits than buying an existing property taking into consideration the depreciation benefits that are acknowledged. 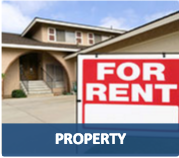 One of the biggest contributors to making your investment property affordable is your tenant. Obviously one of the most important parts about owning an investment property is getting the right tenant and the right price. There is no use renting out a 4 bedroom home to a couple or a 2 bedroom unit to a family or even a 2 storey home to pensioners. You’re looking for the maximum rental return possible. Each time you need to replace a tenant it can cost you hundreds of dollars, so ensuring you select the right type of tenant can make a big difference to your return. A good property manager can take care of selecting the right tenant, drawing up the rental agreement, lodging the bond, conducting inspections and more. The great news is their fees are tax deductible too! I have to admit, one thing that amazes me is all the people that go to those investment seminars with a huge group of 50 other people and expect to be taught what is best for them. Each person or couple has different needs, so that’s why the team at TIPS will sit down with you and develop a strategy that suits you. Investing in property is all about looking at your individual situation in conjunction with your accountant and financial planner, not with 50 other people that you have never met. So if you’ve ever thought about investing in property, now would be a great time to talk to us about the Total Investment Property Solutions, $50 per week investment property special. Our package makes it easy for everyday people to invest in property. Many people believe they need a large amount of cash upfront to purchase an investment property. At TIPS well explain how you can utilise the equity in your home to get started. Total Investment Property Solutions can organise a pre-approval for your property investment loan to ensure you qualify before purchasing your property. TIPS have exclusive access to brand new investment properties. We’ve already researched the area, negotiated a price and taken away all the hard work in finding a property perfect for investment. With the help of your accountant, we’ll show you the great tax benefits you can receive in advance when purchasing a brand new investment property. Total Investment Property Management (TIPM) can help you ensure you have a tenant ready to move in for the completion of your property and continue to manage your property on your behalf once they’ve moved in. 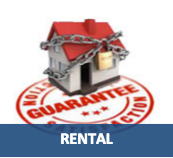 TIPS even offer a 12 month rental guarantee* when you manage your home with TIPM. This truly is a unique offering only available to valued clients of TIPS. What kind of property am I going to get for around $19 per week? If you think $19 a week is cheap, you’re absolutely right. However, you may think that means the quality of the property is cheap also but that couldn’t be further from the truth. Below is an example of one of the top quality homes TIPS can give you access to under this system. Fantastic quality homes including great features like 3 bedrooms, 3 toilets, top quality floor coverings and window treatments, fully landscaped gardens, fencing to 3 sides of the land, ducted reverse cycle air-conditioning, beautiful bathrooms including chrome accessories, modern kitchen with loads of space and even including a dishwasher and range hood, letterbox, clothesline and more. These investment properties are so desirable you may end up wanting to move in yourself! Remote panel lift garage doors. Plus much, much more to make these properties 100% complete at handover and ready for your new tenant to move straight in. Is Investing in Property complicated? So is investing in property complicated? Well of course it can be. There are certainly lots of things you need to take into consideration. Fortunately you’ve found a site that is going to make a normally complicated process easy. That’s because TIPS offer a full service solution to property investing. You need absolutely no experience to start investing, we do everything for you. We’ve found that when people first come to us they have already tried to invest in property by themselves. They started out optimistic and enthusiastic, looking at houses week after week at open inspections, but eventually when they realised how many things they needed to research and consider, they had become apprehensive about whether they were choosing the right property and then gave up on their dreams. After visiting TIPS they were relieved to find there was an expert ready and waiting to take away all the stress and take care of absolutely everything for them. Sit down and plan. Work out what your long term plans are for investing in property. Organise finance pre-approval to make sure you can afford the property before you sign a contract. Research the best areas to invest in property by attending a course or some other form of education. Attend open inspections, auctions or visit display homes. Negotiate the price and contract on a property. Work out what conditions you should negotiate before signing on the dotted line. Feeling overwhelmed? Yes, there is certainly a lot to consider and a lot of people don’t end up investing in property when they realise what’s involved. But now there’s a better alternative where everything above is organised or assisted by TIPS. So what are some of the benefits of Investing in Property? Long term – capital growth which can lead to financial security. Medium term – increased rental income due to inflation and the increase in market rent. Short to medium terms – tax variations, tax minimisation, negative gearing and depreciation. There is currently a housing crisis in Australia (2011) with a reported 200,000 more houses needed and that number is increasing each year with our growing population. Australia’s population is currently growing at around 400,000 per year and this demand equates to a further 133,000 homes a year, assuming 3 people per household. As a result of this continuous demand, property prices and rentals will rise steadily. Along with strong demand from renters, the only real risk for new property investors is in trying to go it alone, and making costly mistakes simply through a lack of research or knowledge. Have you ever wondered how a group of properties just appear on a building site without being advertised or promoted? Well, the answer is simple. They are pre-sold off the plan by the builder. At TIPS we negotiate great deals with builders to be able to offer properties that are only available to our clients. 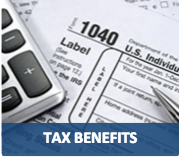 These properties are carefully researched and are selected to gain the maximum tax benefits. You won’t see them advertised, your friends or neighbours won’t get access to them, you can only access them as a valued client of TIPS. Ever heard of the term turnkey property? When you build a property there are many things to consider. Usually once the property is complete it’s up to you to then finish the flooring, choose and install curtains and blinds, install air-conditioning, put up fencing, pay extra to upgrade your appliances, finish your driveway and of course the biggy, landscape your garden. All of this is not only time consuming but very expensive. With a property you purchase through TIPS all of this is done for you. When you pick up the keys to your new investment property, your home is literally complete. This is what is referred to as a turnkey property.